Polyester draperies are easy to launder. Barring unforeseen spills, curtains do not need to be washed regularly. 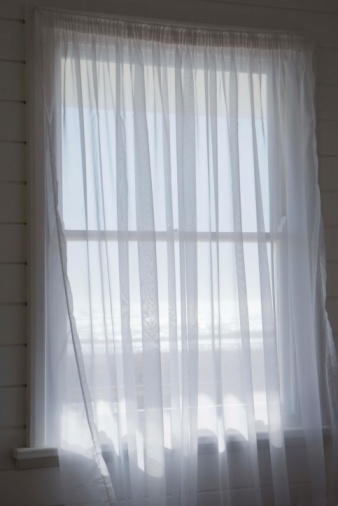 Air fluffing will take the dust out and refresh the fabric, but when your drapes require a laundry cycle you'll be delighted that they are made for the cold-water cycle of your washing machine and can be dried on a delicate heat setting. No ironing is necessary; full polyester drapes can be rehung as soon as they are dry. Clean your polyester curtains using your washer and dryer. 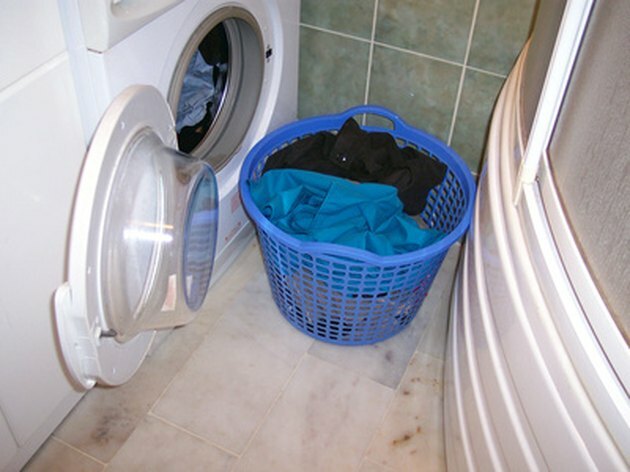 Set your washing machine to the appropriate load size—medium for a pair of drapes, large for two pairs. Select the cold temperature setting and the normal cycle. If your polyester drapes are very thin and silky, you may want to use the gentle or delicate cycle, but polyester is not traditionally considered to be a delicate fabric with regard to cleaning. Add the appropriate amount of liquid detergent (based on the size of the load; check the detergent bottle for guidance). Run the washer on a normal cycle and remove curtains promptly. Put the curtains in your dryer on the delicate or low-heat setting. Apply warm iron on low setting if needed after removing curtains from the dryer.